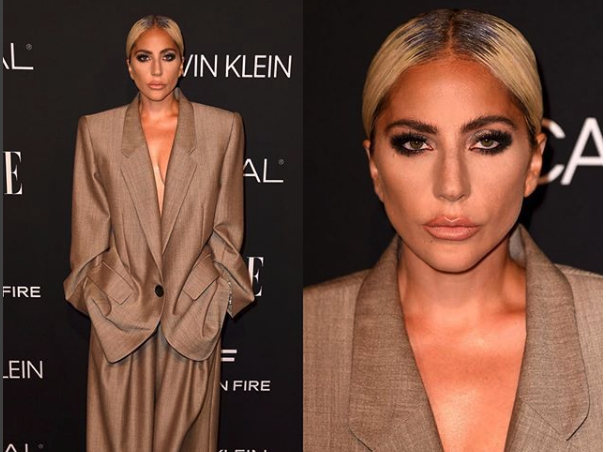 The singer and actress is currently headlining A Star Is Born in theaters, and she took some time to receive the award, wearing an oversized “power suit” from designer Marc Jacob’s Spring 2019 collection. It was the choice of the suit itself, which she wore instead of a traditional gown, that turned so many heads and was chosen specifically in response to her struggles with sexual assault, PTSD, and the chronic pain of fibromyalgia. …I was diagnosed with PTSD and Fibromyalgia, which many people don’t think is real, and I don’t even know what the f**k to say about that. ‘But I’ll tell you what it is. It’s a syndrome that is essentially a cyclone of stress induced pain. And I really wish my friend Lena Dunham was here tonight because I think she could probably articulate this much better than me.